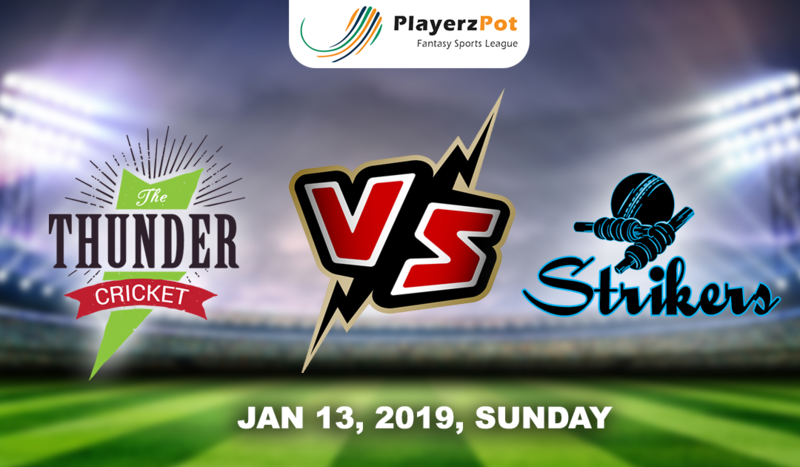 The defending champions Adelaide Strikers will be up against the Sydney Thunders for the second time in this season on 13th January at Sydney Showground Stadium, Sydney. In the last encounter of both teams, Adelaide won the match very comfortably, thanks to player of the match performance from Peter Siddle who took 3 wicket haul by just giving 20 runs in the 4 overs. Sydney Thunder stands on 6th position with 3 wins in the 7 matches they played. In the last match, team lost the game against Heats by 15 runs which was affected by rain interruption. Jonathan Cook took 3 wickets in the match. But could not stop the opponent firepower and the target reached 187. In the second inning after two quick wickets the rain came and thanks to DLS, the team has to take the loss. Jos Buttler is highest run scorer in the tournament so far but will not be available for the rest of tournament even Joe Root have to leave for International Duty. Anton Devcich, Chris Jordan and Jay Lenton comes in place of Nathan McAndrew, Jos Buttler and Joe Root. Players to watch out for: Anton Devcich, Shane Watson and Fawad Ahmed. Adelaide Strikers are 2nd on the BBL ladder with 4 wins in the 7 matches they played. Team won their last match against the Melbourne Stars by 41 runs. Travis Head’s comeback has really boosted the team who scored a 43 runs quick inning. Ingram also scored a 57 runs knock at a strike rate of 140. Wells also scored a 32 runs knock and has been the most consistent player of the team. Bowlers also did good work Laughlin took 3 wickets. Neser, Wes Agar and Liam O’Connor took 2 wickets each and Rashid Khan took 1 wicket and only gave 18 runs in the 4 overs. Billy Stanlake replaces Wes Agar in the 13 men squad. Players to watch out for: Travis Head, Colin Ingram and Billy Stanlake. Sydney Thunders: Anton Devcich, Shane Watson, Callum Ferguson, Jason Sangha, Daniel Sams, Jay Lenton, Chris Jordan, Chris Green, Gurinder Sandhu, Jonathan Cook, Fawad Ahmed. Adelaide Strikers: Travis Head, Jake Weatherald, Colin Ingram, Matthew Short, Jon Wells, Harry Nielsen, Michael Neser, Rashid Khan, Ben Laughlin, Liam O’Connor, Billy Stanlake. Adelaide Strikers showed their strength in depth by beating Melbourne Stars last time out and, having retained some key players despite international call-ups to others, they can maintain their good form by beating Sydney Thunder.